This was our very first kickstarter campaign and 3D printable tile collection. 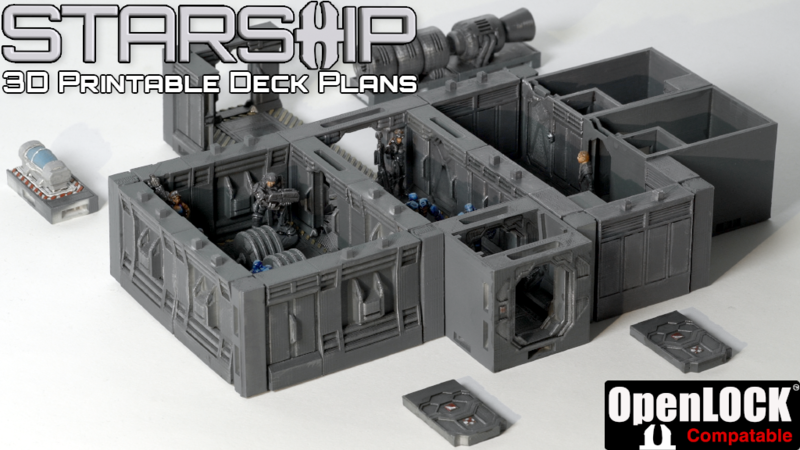 OpenLOCK compatible, the tiles were designed to create a starship deck plan, but could even be used for space stations, colonies and any other science-fiction themed setting. Starship introduced a variety of tile sets, including base tiles, engineering tiles, habitation tiles and corridor tiles, plus a wide variety of power plants, engines, servers, cryosleep chambers, and more.